Hail Mary, full of grace. One Dominican artist is reimagining the images of Catholicism. Georgia based Zahira Kelly, an Afro-Latina "mami, writer, artist, mujerista, award-winning sociocultural critic, and speaker" created a series of images that celebrate the Virgin Mary--as a black woman. The Virgen Negra collection features a vibrantly colored Holy Mother, "which reminds me of home,” Kelly says. Raised between Puerto Plata in the Dominican Republic and Bronx, New York, Kelly, also known as Bad Dominicana online, was "drawing as soon as I was able to hold a pencil," and says that her art has always focused on women. "My visual art is dedicated to highlighting AfroLatina and Women of Colors beauty...In my images I reexamine my bicultural upbringing, Indigenous displacement and neocolonial marginalized womanhood as well as concepts of fragility historically denied to lower class women of Afro-Descent." 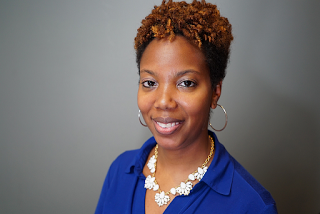 Her Dominican background influences her work. "Catholicism is a part of many Dominicans' upbringing and I was no exception," she told Fader. 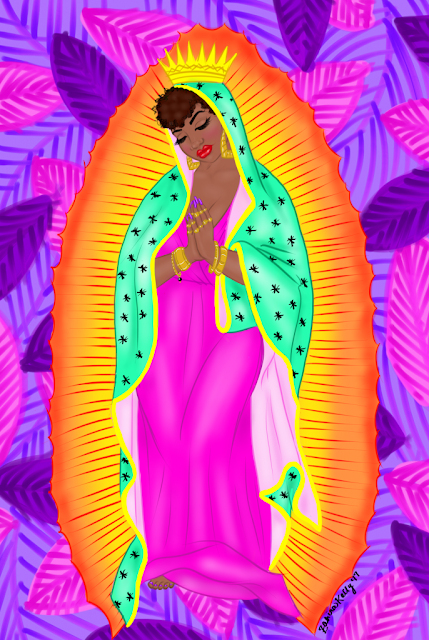 "For me, depicting La Virgen as a Negra is fusing our African ancestry with Catholicism like many in our country have done before with spiritual figures." See more of Zahira Kelly's work here.